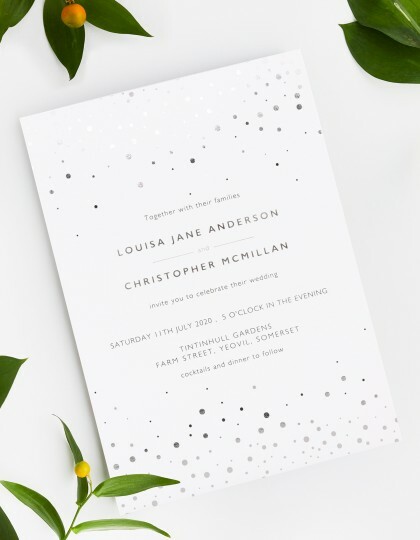 Modern and stylish, our Confetti wedding invitation will be sure to get your family and friends excited to celebrate with you on your big day! 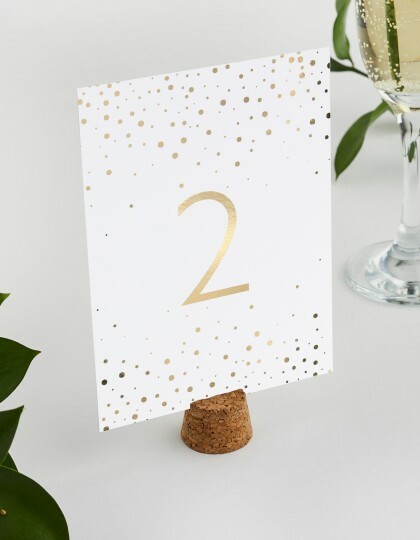 The foil confetti pattern and text will glint and gleam as your guests slide the invitation out of its envelope. 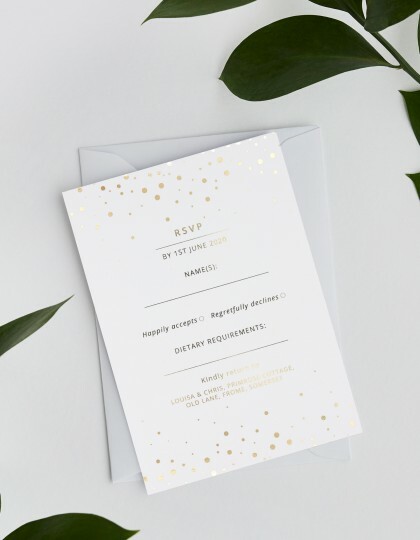 The text can easily be edited for an evening reception invitation. 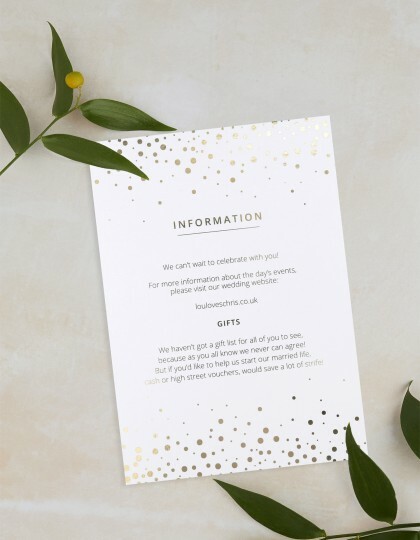 £	 Includes printing and no design fee. Make sure your family and friends are 'at the church on time' with our Wedding Day Invitations. Invitations let your guests know the essential details of the day, when, where and at what time you're getting married. 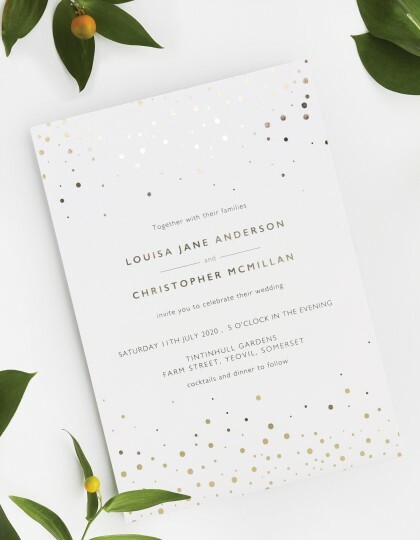 We've created a stylish range of wedding invitations including Modern, Traditional and Vintage designs that are ready to be personalised with the details of your special day. 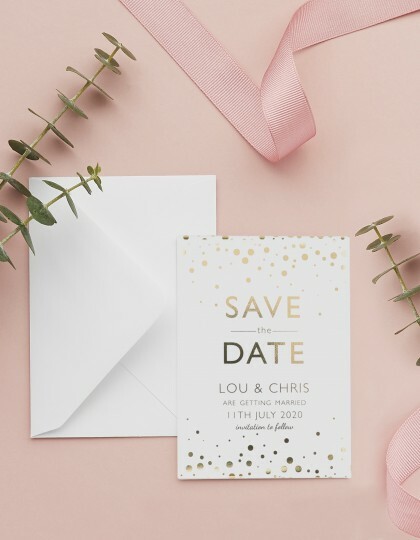 All of our invites can be purchased individually or as part of matching invitation suite, so your chosen theme can be continued throughout your entire wedding from Save the Dates to Thank You cards. 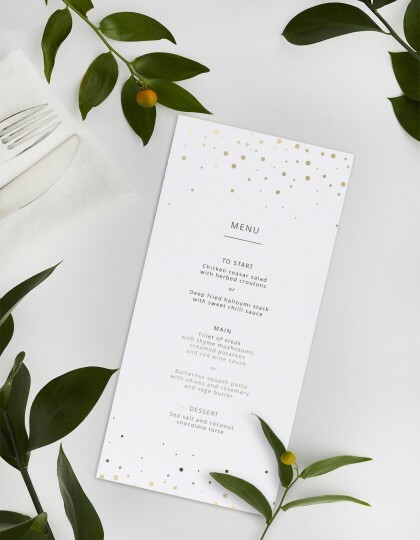 Measurements Classic invitation size - 5" x 7" (127mm x 178mm) Paper Stock Printed onto 'Splendor' White stock, 400gsm Printing & Production All orders are dispatched within 10 working days of artwork approval, but if we can get your items to you sooner, we will.